What I find most interesting about each member of Sonic Youth's post Sonic Youth output is how diverse, yet still within the Sonic Youth universe it all is. Thurston's Chelsea Light Moving is the heavier, more punk side. Kim Gordon's Body/Head is more experiemental element, much more like their SYR series. 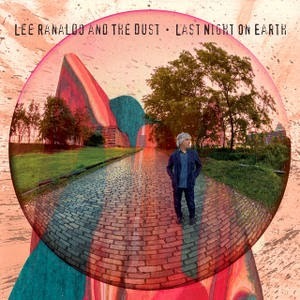 Lee Ranaldo's first album with The Dust (which features SY's Steve Shelley on drums) takes and expands on the more psychedelic output SY had been playing with. There is still some of the noise and aggression, but he adds a melody little seen before. Given my own personal taste, I'm surprised I like this more than the other two Sonic Youth releases this year. Maybe since Lee always had kind of a third songwriter role in Sonic Youth that he feels less obligated by or bound to a previous style. Head on over to Lee Ranaldo's website to get some more information, including current tour dates. You can also listen to the full album Lecce, Leaving below.